We got home from vacation on Saturday so I had a little time (between loads of vacation laundry!) 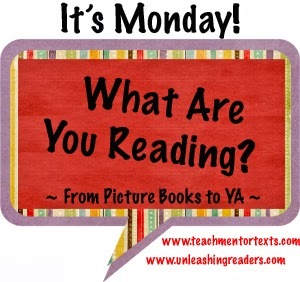 to read some picture books on Sunday! This one really surprised me. Mouse makes a cake for Little Bird's birthday and runs out of all ingredients to make more cake. Along the way of delivering the cake to Little Bird, Mouse shares a little piece of it with other animals in exchange for something a little unexpected. For example, when Mouse sees Cow, who has bottles and bottles of milk by her, instead of Cow giving Mouse a bottle of milk, she gives her a flyswatter! Quite strange. On the way back to Mouse's house, Mouse and Little Bird encounter all of the animals again, but this time they each have a problem. Little Bird helps solve the problem with all of the things Mouse has collected, but not with the item you think she would use. This book would be terrific to use to teach problem/solution. You could also discuss how not all solutions have to be ones you typically think of - think out of the box! 4/5 stars I'm grateful for the Cybil Awards for introducing me to this series. Very cute take on different nursery rhyme/fairy tale characters. Young readers will really enjoy the silly jokes in this fun series. I liked this one more than I thought! Fantastic illustrations, starting in sepia, but moving to colored. You also have to hold the book on its side - reminded me of Parrots Over Puerto Rico. First page reads, "Once upon a time there was no alphabet. Only numbers." I immediately said noooooooooo! (I'm not a numbers person). This book teaches kids to try new things, think differently. What else can you come up with? LOVED the musical references - made me want to sing! Favorite Babymouse so far! This book took me awhile to get into. I was relatively fresh off Absolutely Almost which just took my breath away. I think it would be hard to start any book after that one! But I eventually got into Sage's story and rooted for him until I wanted to reach into the book and pluck him and Imogen out to help them! I loved the twist - it's one I thought in my head, "that would be cool if that happened", but not really thinking much more than that. I look forward to reading the next 2 in the trilogy. One of my goals this summer is to read some series that I've missed and this is a great one to start! This was also one of my #mustreadin2014 books! I adored this book when I read it the first time in 2012. I remember that there were some specific reasons that I was not going to recommend it for my school, but other than the book containing the word "bastardization", I couldn't remember why I didn't think it was ok for 4th grade (our highest grade level). We listened to this in the car on our road trip, and there were a couple of times that I cringed that my 8yo was listening to it. There were a couple of other words, just words not appropriate for younger readers, that were rather unnecessary for the story. I think that Colfer is a terrific actor and singer, and now we know he can craft a beautifully written story, but I wish someone had helped him change a few things that were a little too adult-like. I still really enjoyed listening to the story - so many fairy tale characters and I loved how the story came together in the end. I'm thrilled this story continues. I'm also excited because for the third installment, my daughter and I are going to meet Chris Colfer and have our book signed by him! One of my goals this summer is to read some Newbery and Honor books. This was my first! Beautiful story, but sad. I wasn't prepared for it, nor was I prepared for some of the mature content - the characters walk in on 2 adult characters in a romantic situation and there is a suicide. My 8yo was also listening to this one with me... I'm hoping some of it went over her head - I like keeping her innocence for a little longer! I would recommend this book for an older audience, 5th gr and above. I can see why it won the Newbery Honor, it was beautifully written and had so many layers to peel away, between the story and the characters. Much to discuss! 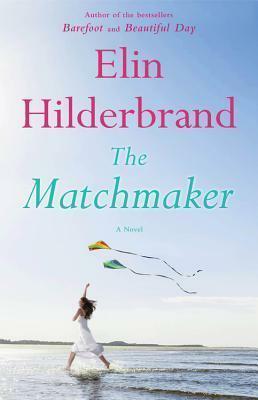 Summer reading is synomynous with reading Elin Hilderbrand books. I enjoy the Nantucket setting in her books and all are quick reads for me. This one dealt with illness and adultery. Not fun summer topics. I feel like there is a big difference between adult books dealing with death and illness and children's literature dealing with the same topic. I feel like most children's books deal with those topics and reach your heart and make you think. They are more poignant. Adult books are just sad. What do you think? 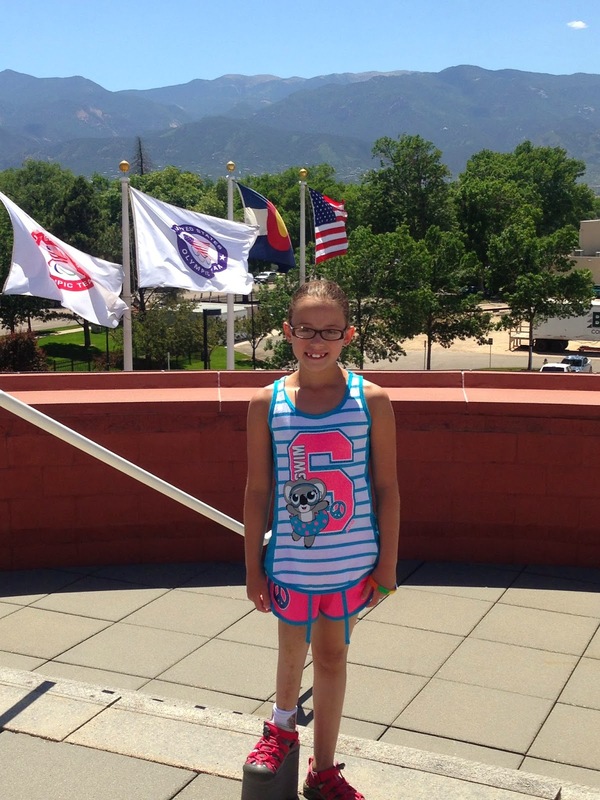 Last weekend we traveled to Colorado Springs for my daughter to be nationally classified as a disabled swimmer and for her to swim in the Jimi Flowers Classic swim meet. It was an amazing experience. Classification went well and a little unexpected. She spent a lot of time with 2 classifiers that took a lot of range of motion measurements. As to be expected, this is where she got a lot of her "points" - meaning how she "qualified" for a disability classification. They also tested her strength which she passed with flying colors (thank you Miss Myla, physical therapist extraordinaire!). Next she swam all 4 strokes in the water and did one diving start. She now has a classification for all 4 strokes and one for IM's. She also has notes in the officials section that lets them know what they can/can't DQ her for in the breaststroke. The unexpected part was she does not have that for the fly. My daughter has a tough time with the fly kick, but the classifiers said she has enough strength that she should be able to do it legally. Something for her to work on! Next, she did a small workout in the pool. 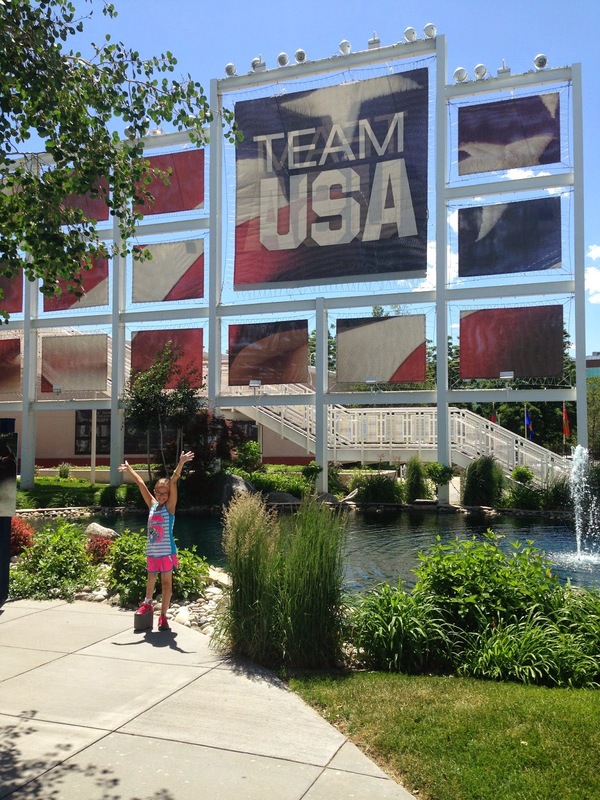 Keep in mind, this is the US Olympic Training Plaza pool! It was kind of awe inspiring to be there, knowing how many greats have swam in this pool. One thing that shocked me was how small it was. I've seen aqua arenas on TV that are just huge. This one had a wall that held a 3-row set of bleachers along it. That's it. But I guess this is the training plaza. The next two days were the meet. 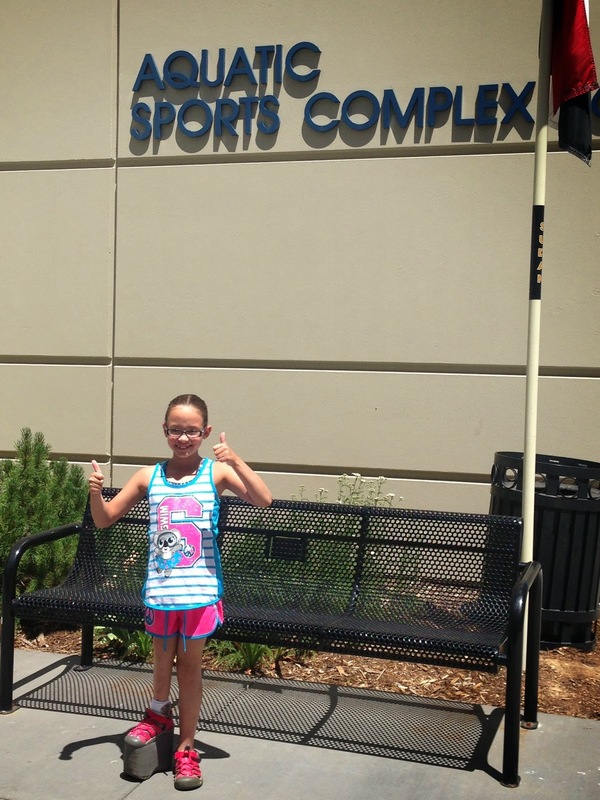 My daughter swam in 5 events. She dropped major time in 2 events which made us thrilled! She also got DQed in 2 events, but that just gives her something to work on. 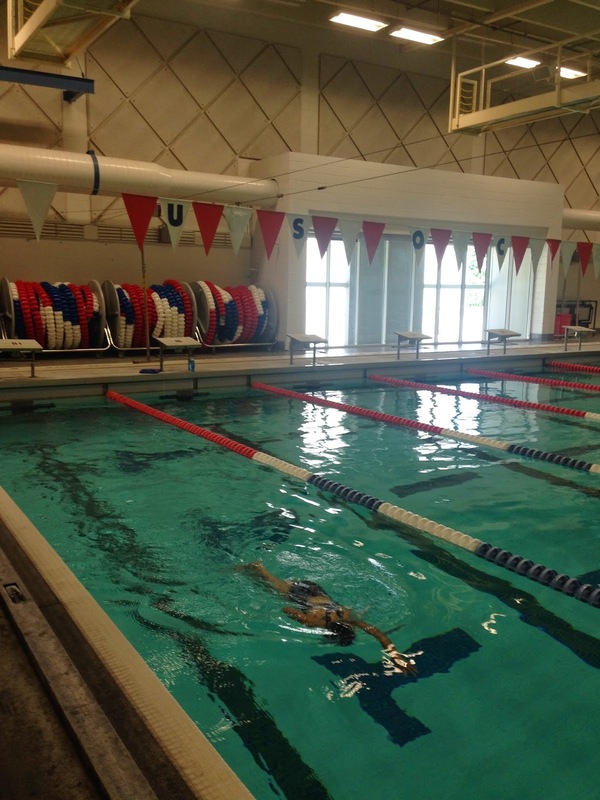 What was incredible to see was all the kids and adults with major disabilities work through their challenges to swim. There were people there with no legs at all. Some with only 1 limb. One boy had fingers, but no arms and legs that did not straighten. I could not believe how fast he was in the water. We saw more amputations that I've seen in my life. But here... it was the norm. And no one cared. There was no pressure. Everyone cheered for each other. Everyone supported each other. Every accomplishment was celebrated. My daughter certainly missed her friends from her swim team but she said to us, "I really liked this meet because everyone was just like me. Everyone had a disability." She got stares at her big shoe but the looks people gave her were SO different from the ones that she gets on the street. Most people gave it a glance and then smiled. Even the siblings that were there, you could tell they were so used to seeing physical disabilities, no one really gave her shoe a second glance. We met up with a family there that happened to have heard of us through my daughter's head coach (small world). My daughter now idolizes their son (as an 11yo, my 8yo daughter has put him on a pedestal). She can't believe how fast he swims with a below the knee amputation and wants to meet up with them at another meet soon. I am thrilled that this door has opened for my daughter. I know all of us are amazed at what people with physical, mental and other disabilities can do, but to see it is awe inspiring. What a celebration. I think nonfiction/informational text materials are crucial for much of the science and social studies learning that young children need to do, but finding appropriate leveled texts can be hard. Last week's post showed you a new series called Seedlings that has a variety of texts in the themes of animals and machines that can be used in kg and 1st grade. This week, I am going to show you a series by National Geographic Kids that is published by Scholastic. I really enjoy the many National Geographic Kids books that are out there. It seems that there is a set for every level of reader. I'm really excited about this series because I feel that it gives more information than the level 1 series, but it still has accessible text that will give our young readers new information. So far I have only seen this series available through Scholastic. The books are more limited in their scope of topic - for example, in A Den is a Bed for a Bear, the topic is restricted to dens of bears instead of having a wider scope, such as all about bears. The text highlights specific vocabulary words for students to remember. There are photographs, as well as basic, child-friendly illustrations that make the book seem more like a picture book for young readers. Each page has one important sentence, then captions that give additional information. There are also labels and other little comments about the photographs. The books do not have a glossary, index or any source notes. There are additional ideas about the topic and activities kids can do. These books would be great to use in a kindergarten or 1st grade classroom. They could be used as read alouds, or texts students use to get information. I want to celebrate and write a little something about independent bookstores. I love the smell of a bookstore. Walking into a bookstore and that first sniff makes me feel like I'm where I'm supposed to be. Kind of like home. When I walk into a bookstore, I feel myself want to slow down and take my time. At the same time my fingers start itching. I need to hold a book. I love the visits when I have all the time in the world just to look over a stack of books. Make decisions about what to buy and what to hold off on for the time being. When you go into an independent bookstore, I feel like the people that work there really have your best interests in mind. They want to help you. They're ready to help and guide and recommend. They took the job there because they probably love books. There's a sense of simpatico with them. Independent bookstores are getting harder and harder to find. I always pause with sadness when I see one that has been closed. In the Chicagoland area we have a few indies, but they are not very close to me. There are times when I have to visit Barnes and Noble or even order from that store on the internet that shall not be named! I try to go to our indies when I can. Lake Forest Bookstore was the first indie I went to in our area. The ladies there were so helpful and genuine to both my daughter and me. My daughter loves going to their children's section, getting a stack of books and finding a good spot to sit and go through them. I recently went to The Bookstall and the kind people there helped me leave with a box instead of a bag. And a little over a week ago, I finally went to Anderson's Bookshop. I've purchased books from there many times, just never at their store. I've purchased from them at the Illinois Reading Conference, the International Reading Conference and more recently, at their fantastic Children's Literature Breakfast. But this was my first visit. It's over an hour away from my house and by the time we got there we only had about 35 minutes. My daughter and I power shopped and left with two bags and several positive interactions with their workers. I'm lucky that I have a few indies in the area that I can visit when there is time (I have time???). Not everyone is as lucky. During the school year I don't always have that time to drive a ways out and then I do have to get my books elsewhere. I will always try to shop indie when I can. I don't leave big named bookstores with that same feeling of contentment that I do when I've "shopped locally". 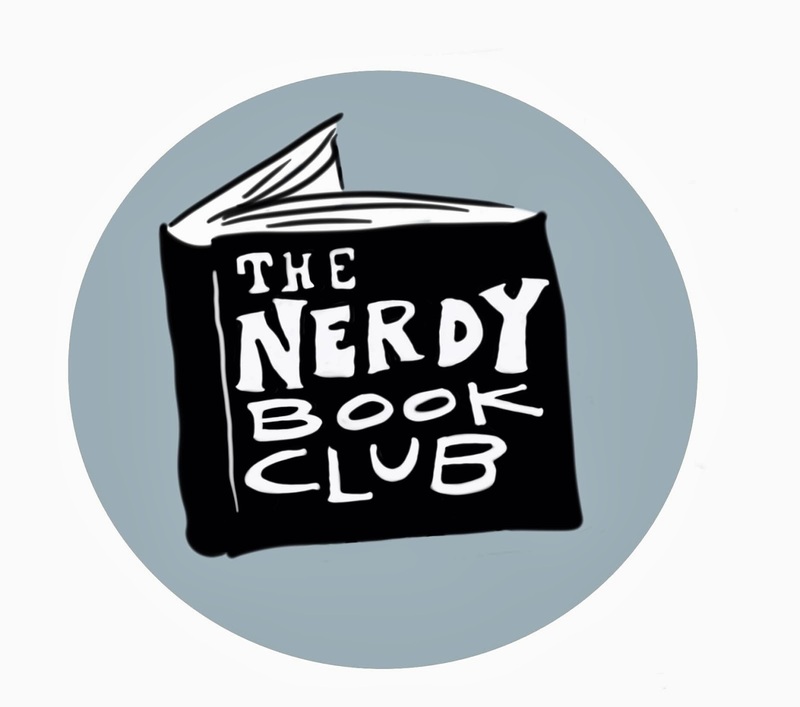 Thank you to all the independent bookshops out there that keep us nerdies with our book fix! Do you have a good indie story? I'd love to hear it! I read a couple longer books this week, so slower volume than usual. I'm enjoying having more reading time! Loved this beautiful tale of friendship. Lion learns the lesson you have to let something you love go free, if it loves you in return it will come back. The illustrations are just beautiful. I'm going to add this book to my friendship list and central messages list. Simple text but illustrations that tell a lot more! Young readers will love seeing Moose's accidental antics. Fans of No David! will like this story. This one took me by surprise. I figured that young Edgar would have a sweeter second word than his first word - "No!" - but I was surprised what it ended up being. I loved that books and reading played such a big role in this story. I couldn't even start another kid lit book after reading this because I needed time to let it soak in. This book was amazing. As I said on Twitter, this book does for kids with learning difficulties that Wonder by RJ Palacio did for kids with physical disabilities. Graff shows how a kid who may have trouble learning has more to them than just that. They're a kid, navigating through life. And life can be tough for everyone. Young Albie has friendship issues, with both bullies and with his best friend (his best friend is on a reality TV show, that's a first for a book!). Albie has helpful teachers and teachers that don't help him. Albie has an amazing supporter in his not-a-baby-sitter baby-sitter, Calista. Unfortunately, not everyone sees what she is doing for Albie. And Albie has parents that can be great, and can be frustrating because they don't see the great things in his son. I loved the ending and just wanted to hold the book close to my heart for a little while. I've been a fan of Lisa See for awhile and I've seen her write some great books and some that are ok. I really enjoyed this one. This book centered around 3 women and told their story during World War II. 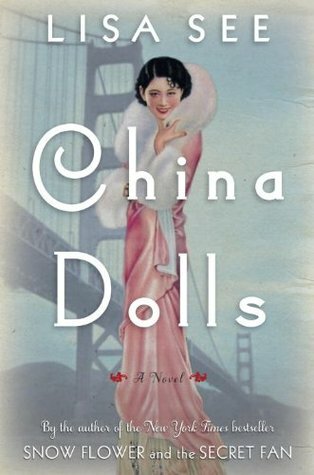 See's characters are usually Chinese-Americans and are great historical fiction novels. You can tell See has done her research and it shows in the details. I read this book over a year ago and loved it. I have the second and the third is coming out in a couple of weeks. I want to get reacquainted with the series, so thought I would listen to the first one. Chris Colfer reads the story - I think it's neat when the author reads the story. I feel like I hear the emotion the author wanted us to be using when reading! Several weeks ago I came across a post by Sunday Cummins. I read her book last summer called Close Reading of Informational Texts. She is very gifted in understanding and discussing how to read informational texts for K-8 students. 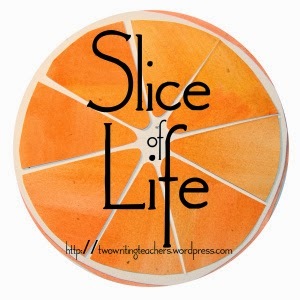 Her blog often spotlights a text or texts that can be used with specific grade levels. 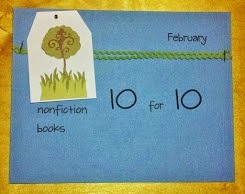 In this post called "Nonfiction series for kindergarten - first grade text sets" (posted on May 31), she spotlights a series called "Seedlings". I found a few at my public library, ordered one and found I already owned one purchased last year through Scholastic. These books would be fantastic to use in a machines or animals theme for kindergarten or first grade. The text is extremely accessible for these grade levels. The print is large and each page is limited to 1-2 sentences. There is theme related vocabulary but used either in the sentence or shown in the photograph so young children can understand and learn the new words. The photographs are vivid, bright and eye-catching. Basic nonfiction text features are used: photographs, labels, index, glossary and there are websites and additional reading listed in the back. I'm glad I've learned more about this series and will be adding more titles to my collection! #bookaday is officially underway! Let the reading begin! This book is crave-worthy because of the beautiful illustrations! It makes you want to return to the book over and over just to see them again! Three little bears have accidentally broken their mother's favorite blue seashell so they set sail on an adventure to replace it. They meet some other bear sailors, my favorite being the old timer who likes to start his sentences with "I reckon...". Along the way they learn a lesson about the important things in life and how to admit when you're wrong. I loved this beautiful picture book! It had several laugh out loud moments! The ninja descriptions and ninja action words were fantastic. I loved how some of the pages were separated into frames - almost like a beginning graphic novel. My favorite part is when the young ninja gets caught, and his downtrodden face and "I am dishonored" will make you giggle out loud! This is a must read! Beautiful illustrations. Use when teaching central message. The book has 2 - the boy in the story learns something and the toy boat learns a lesson. I found this book through another blogger (I can't remember who, but thank you!). This book is so wonderful! I think kids will love exploring the concept - nocturnal animals and what they do at night. You could pair it with Snowmen at Night for a familiar theme. Love the illustrations! Perfect for cause/effect and surprise endings! Fantastic narrative nonfiction about the author and how he was able to rise above his stuttering disability because of his work with big cats, particularly the jaguar. If you are doing a mock Schneider or mock Sibert Award, I would put this book on both lists! I read several books from this list this week. This was an interesting one for me. I picked this book up because it landed on the NYT Best Illustrated Books list. And the illustrations were very unique. But this book is misleading as it's definitely meant for an older audience. Few words, more illustrations. Readers have to infer what is going on. Would best be used as a whole group, small group, or partner read. It needs to be discussed while being read. Lots of interpretations! Turkish folk tale. Beautifully told. Lovely illustrations but the dad was a little strange to me. Looked like he had stilts for legs? Cute story for younger readers, but amazing illustrations. The details in the illustrations were fantastic. If you are a fan of Shel Silverstein, as many young kids are, this book will be perfect. A collection of poems in rhyme, these poems will make you smile, chuckle and laugh. Add in illustrations by Diane Goode and you have a can't miss book. I have a love/hate relationship with these type of books. I love them. I get immersed in their world. I can read for hours at a time. They are page turners for me. But I hate them. I hate when the story is over. I hate saying goodbye to the characters. I hate saying goodbye to the amazing writing. There are not many books I can say this to - Wonder and Snicker of Magic come to mind immediately. Here is my Goodreads summary: It's really hard to write a review for a book as good as Circa Now. This is one of those books I slowed down to read, trying to make it last as long as I could. It was a fantastic story. I loved the concept of reality mixing with fantasy. While it was a sad story, it was also one of hope. Circa was a lovely main character - one you would want to know in "real life". Turner did a fantastic job writing this book. I loved the way she intertwined the parts of the story. My Goodreads review: It took me awhile to connect to Willow Chance. I needed time to let her get under my skin. Once she did, I just wanted to wrap my arms around her and hold her tight; make her world right. I loved this book for the fact that it showed what makes up family. How characters can change. How people can make sense of their world. Beautifully written. I loved Willow because she realized "books=comfort"
pg. 135 "I admire that in a person. The ability to keep your mouth shut is usually a sign of intelligence. Introspection requires you to think and analyze. It's hard to do that when you are blabbing away." pg. 175 "For someone grieving, moving forward is the challenge. Because after extreme loss, you want to go back... No matter how hard, they try, other people do not understand because I'm incapable of communication. And that is why the deepest form of pain comes out as silence." pg. 278 "That's why this running matters. I think that the effort put forward in matters of physical exertion is more important than the outcome." pg. 289 "Dell Duke is not a bad person. He is just bad at being a person." pg. 351 "A second can feel like forever if what follows is heartbreak." pg. 355 "This is one of the secrets that I have learned in the last few months. When you care about other people, it takes the spotlight off your own drama." pg. 359 "If there is anything I've figured out in the last months it's that you can find labels to organize living things, but you can't put people in any kind of group or order. It just doesn't work that way."